DRAWSKO POMORSKIE TRAINING AREA, POLAND. Sergeant Stephen Murphy with the Fourth of the 319th Airborne Field Artillery Regiment of the 173rd Airborne Brigade Combat Team monitors an airdrop from a C-17 aircraft that took off from Nuremberg, Germany before it drops members of his unit on June 15, 2015. 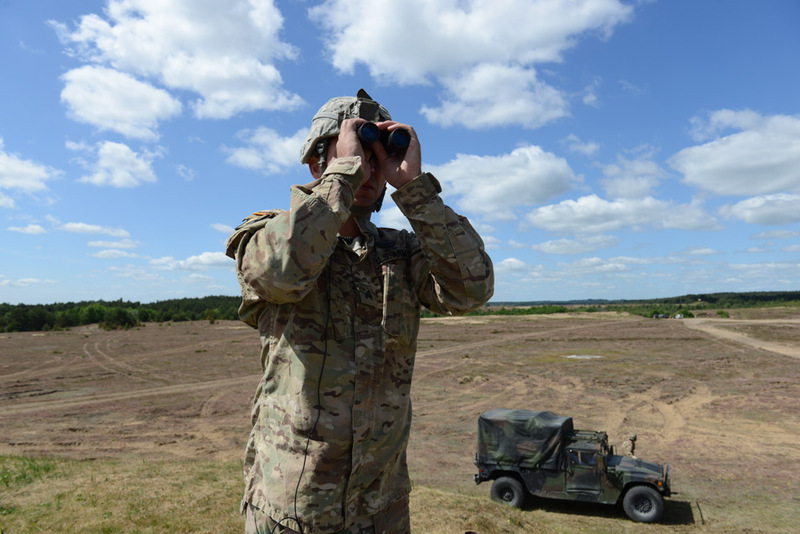 NATO is engaged in a multilateral training exercise "Saber Strike," the first time Poland has hosted such war games, involving the militaries of Canada, Denmark, Germany, Poland, and the United States.